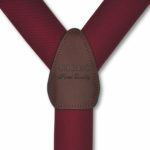 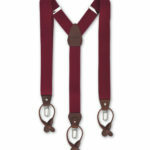 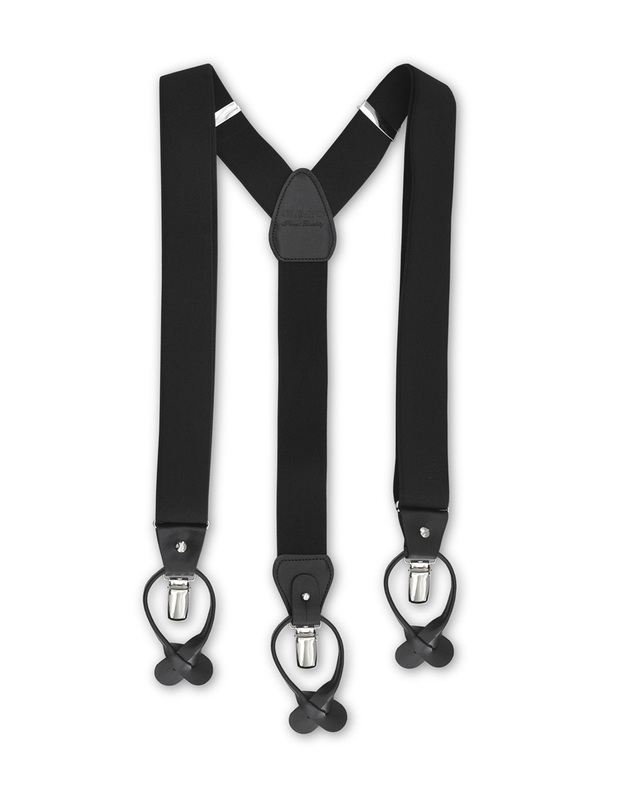 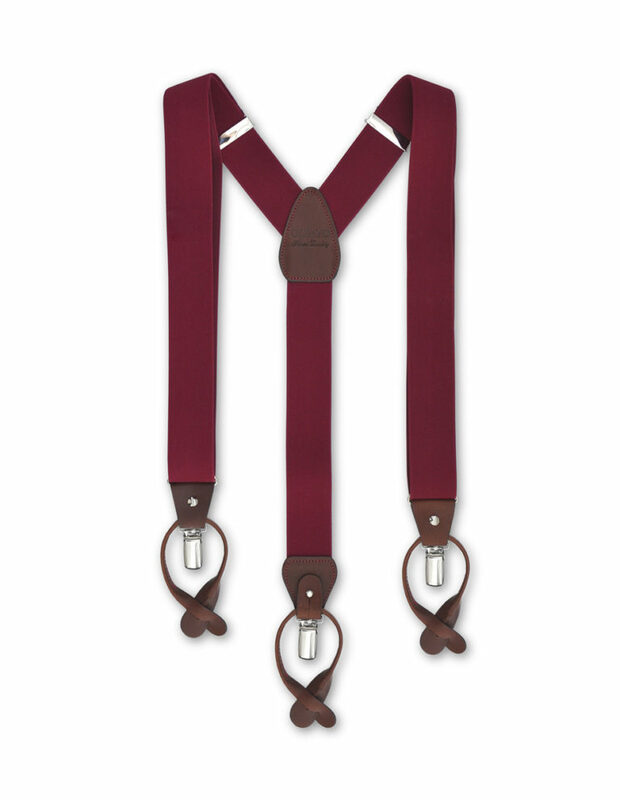 Stretch cotton suspenders in burgundy with cowhide leather tabs/ends. 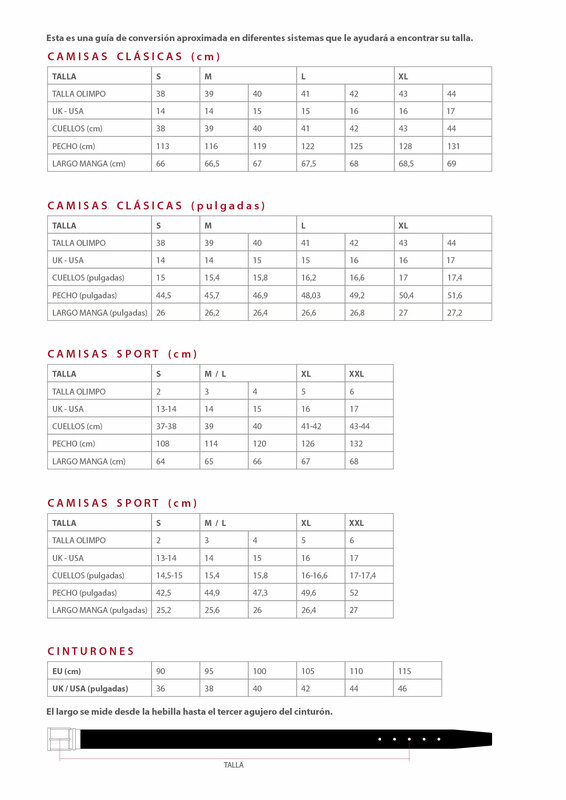 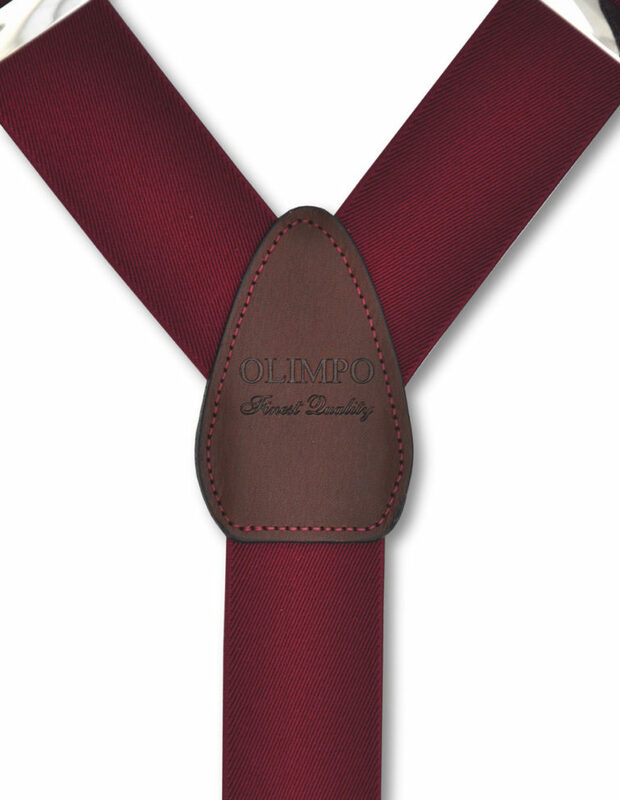 Back leather cross patch is engraved with the OLIMPO name, a sign of guaranteed quality. 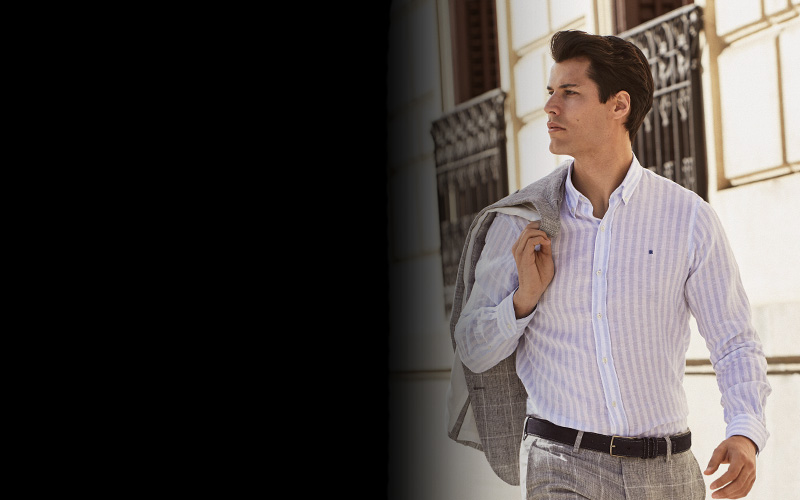 Classy and clean design. 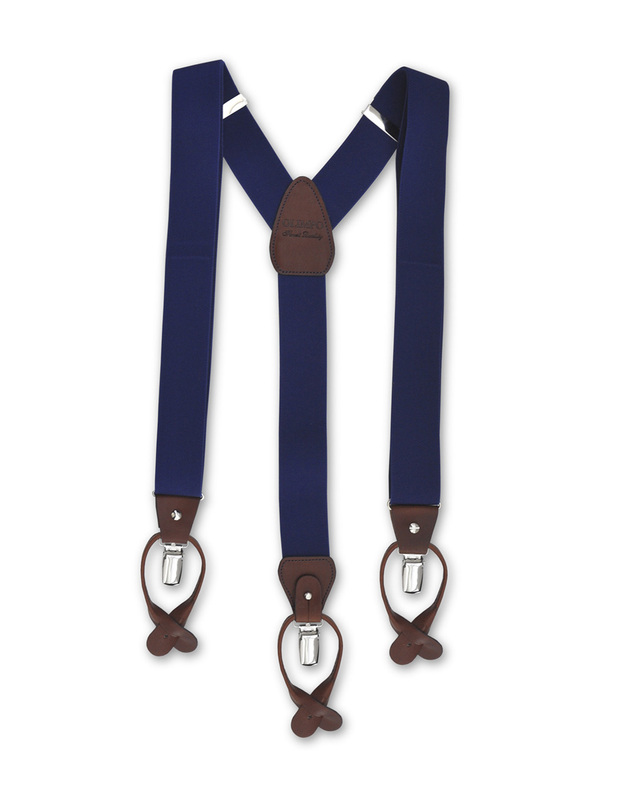 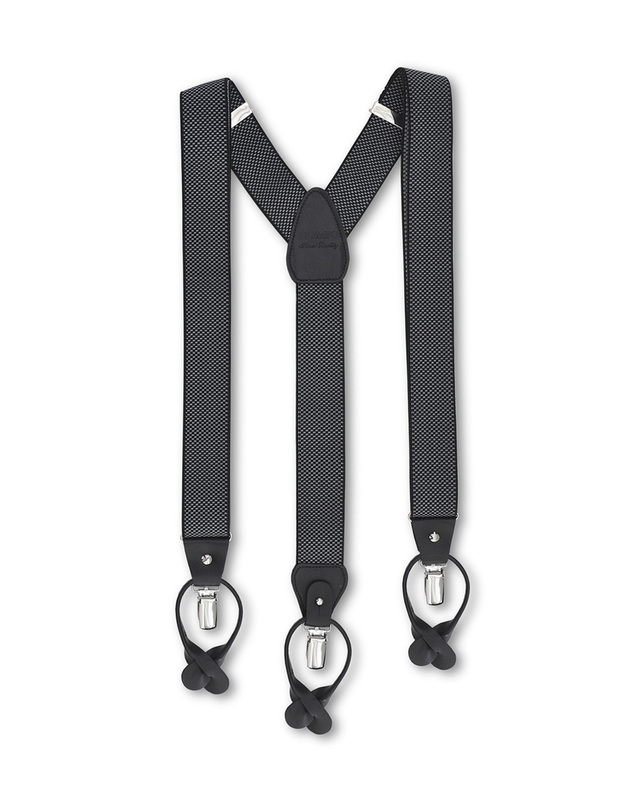 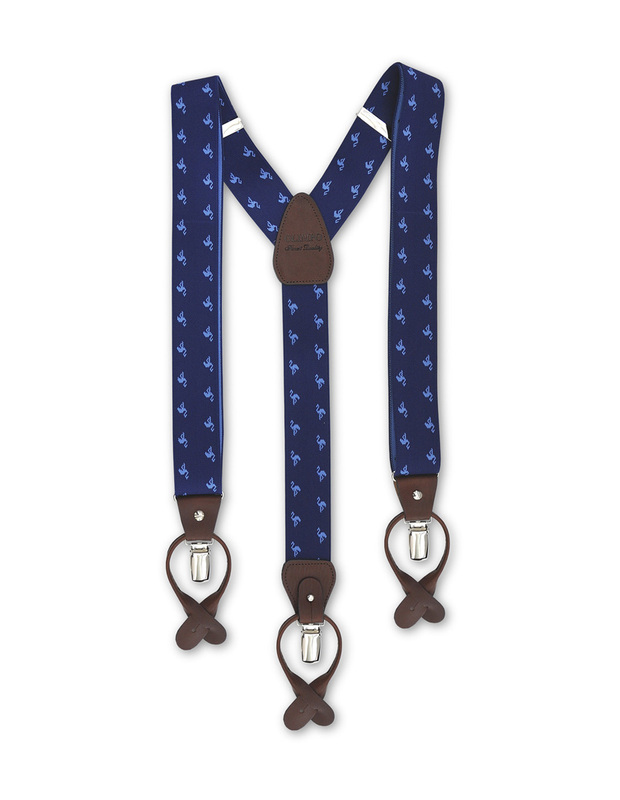 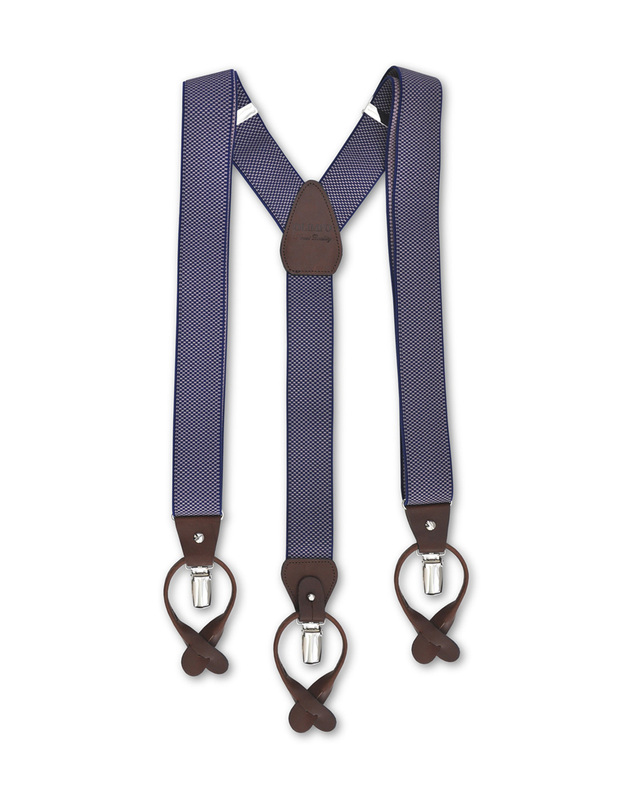 Combine these suspenders with a sky blue oxford shirt and burgundy OLIMPO tie with blue pattern to brighten up your look.